I remember a time when I sent my CV to a big company. It was a company which assembles generators, reactors with steel tubes/pipes, etc. for use in Nuclear Plants. It was surprising to me that nobody answered. I called the Human Resources Department and asked why they didn't invite me for an interview. The clerk explained that they received two thousand (2000) CV's and my number was 777. He really tried to read them all but it wasn't possible due to the large number received. I informed him that I'm very suitable for this position and eventually they invited me for the meeting. The purpose of Cover Letter is similar: to deliver CV to the employer. 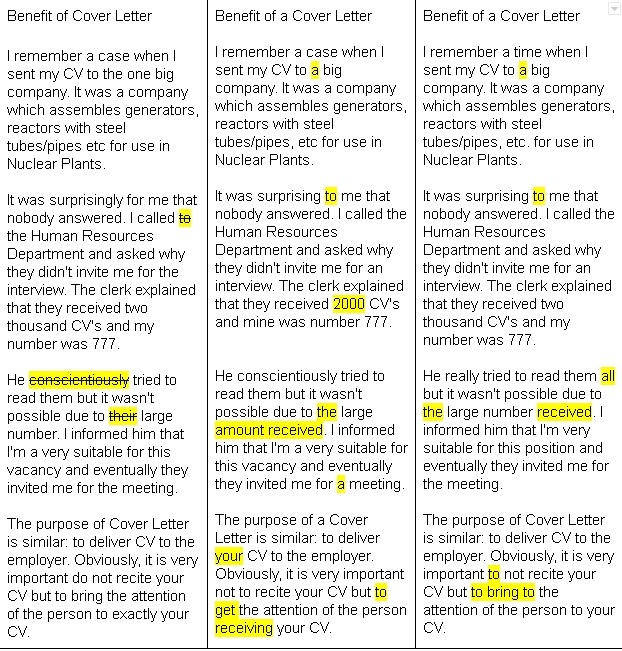 Obviously, it is very important to not recite your CV but to bring to the attention of the person to your CV. I'm writing to you to ask about possible vacancies in your company. My CV is attached in this letter. 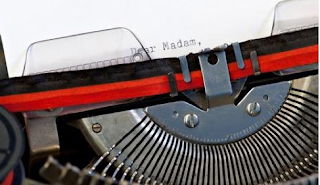 It would be not a bad idea to write the cover letter to yourself, incorporate in it your own hobbies (The Internet, technologies, Linux, foreign languages, etc) as an additional advantage. We discussed this topic with the teacher Sunita, who is from India, in online English school https://www.albert-learning.com . We agreed that the recommended style of Cover Letter should be different for example for India and for Russia. -I'm flexible and adaptable to change, coming forth with innovative ideas at work. At the same time eager to interact with colleagues, positive approach to teamwork aiming towards a healthy work environment. -Effective communication is a major strength. This text was corrected by Kasia Szklarek and Justin Laird (nicknames on iltalki.com). Here are corrections: part 1 and part 2. "a" is used when there is one so you can omit that. You can also say something like: Your cover letter helps you stand out from other applicants and allows you to motivate further why you are a good fit for the company.